sediments and bank soils from this stretch. were treated and 5,000 gallons of oil were removed. EPA followed this work with its own sediment and bank soil removal/bank stabilization project in the 1.5-mile stretch of river immediately downstream of the stretch cleaned up by GE. The Company provided approximately half the funding for this work. Investigated and cleaned up other areas upstream of the confluence. Completed a cleanup of the Newell Street commercial area and a parking lot at GE’s plant site. Installed oil recovery systems at and near GE’s plant site to prevent the migration of oil containing PCBs to the river. The groundwater is treated in a water treatment facility built by GE. 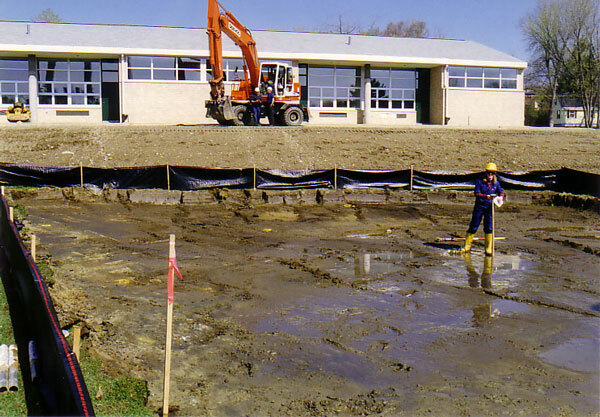 Demolished several outdated building complexes on the former GE plant site and constructed a youth ball field for lease by the City of Pittsfield. GE also provided to Pittsfield a $45 million package, including turning over dozens of acres of property on the GE plant site to the Pittsfield Economic Development Authority for economic development. In addition, GE provided $10 million to Pittsfield to seed business redevelopment projects across the City. 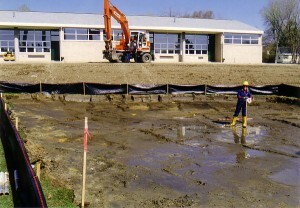 Workers removed soil from the Allendale School yard. minimize downstream transport of PCBs. Cleaned up soils, including removal and replacement and/or capping, at several properties within areas containing former oxbows of the river filled in the 1940s. Cleaned up and restored Dorothy Amos Park, including the installation of three basketball courts, new bleachers, playground equipment, walking paths and benches. Posted fish consumption advisory signs along the river in Massachusetts and provided signs to regulators in Connecticut for posting there. Complete the cleanup of its former plant site south of East Street. Remove sediment in Unkamet Brook and restore it to its original meander. 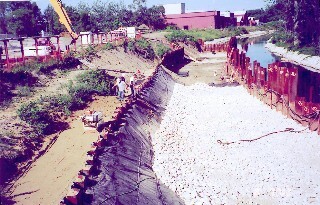 Remove sediment and soils from Silver Lake and its banks, restoring the area with clean material.